Are there more Solyndras out there? The now-bankrupt solar maker Solyndra could be the biggest disaster in venture capital history (though to see a variety of contenders for that title check out the comments here). But there are a few other green startups that have raised similarly massive amounts from private investors and also have large loans and loan guarantees from the Department of Energy. Are there other Solyndras waiting in the wings that could one day lose over a billion in funds, including taxpayer funds, to failed green technologies? There aren’t any companies that are so obviously on the path to fail as Solyndra and also have received so much DOE and private investor support: Many solar watchers had for years pointed out that Solyndra could likely never bring down its costs to be competitive. But there are two other greentech startups that have raised similar amounts of funding as Solyndra and also have hearty support from the DOE: electric car maker Fisker Automotive and solar thermal company BrightSource. While neither Fisker nor BrightSource seem to be as risky as Solyndra, selling electric cars to consumers (Fisker) and building the first massive solar plants based on power tower technology in the U.S. (BrightSource) are still somewhat risky endeavors. And both Fisker and BrightSource still have a ways to go before their projects can be considered successful. First I’ll look at Fisker. The company confirmed with me in April that it had raised over $1 billion in a combination of loans, grants and equity. Fisker’s high-profile venture capital investors include Advanced Equities, Kleiner Perkins Caufield & Byers, NEA and battery manufacturer A123 Systems (s AONE), among others. Fisker most recently raised at least $150 million in the first quarter of this year in a follow-on round from investors, helping skew the amount of greentech deals in the first quarter of 2011 to hit close to a record (in contrast to the real trend that greentech VC investments in new companies have been dropping). Fisker also scored one of the Department of Energy’s coveted green car manufacturing loans of $528.7 million back in September 2009. Unlike Solyndra’s loan guarantee, Fisker received its loan from the $25 billion Advanced Technology Vehicles Manufacturing (ATVM) loan program, the same program that doled out funds to electric car maker Tesla (s TSLA) Motors, which went public, and large automakers Ford Motor Co. and Nissan North America. Fisker was one of the few startups, along with Tesla, to get funding from the ATVM program. Building a business off selling electric cars to consumers is pretty risky. The electric car market is still very nascent, and a few electric car companies have struggled recently. Think filed for bankruptcy in June of this year, and Aptera has started to refund money to customers that were on the reservation list for its electric car that still hasn’t gone into commercial production. It should be noted that both Think and Aptera were denied ATVM loans. 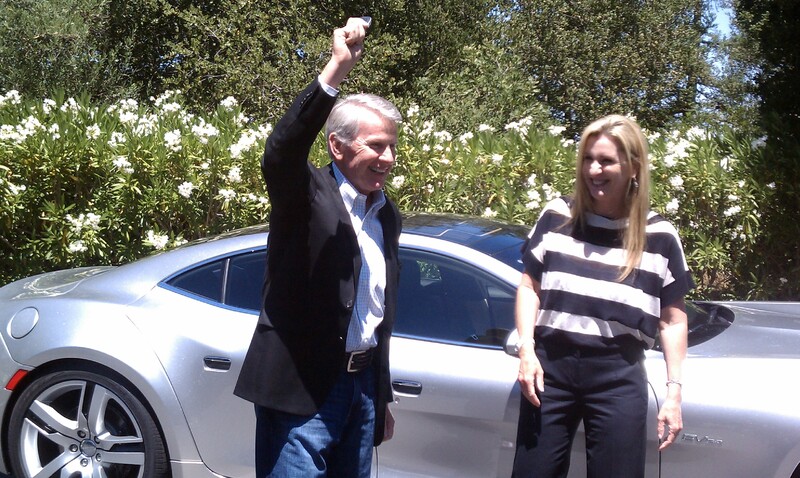 Electric car maker Tesla managed to have a successful IPO, but it has yet to be profitable. However, Tesla has scored a few electric car tech development deals with automakers like Toyota (recently a $100 million deal), but Fisker, unlike Tesla, never plans to sell its tech to third-party automakers, Fisker investor Ray Lane told me recently. That means it will have fewer revenues to show on its books until it ramps up to wide-scale commercial production. 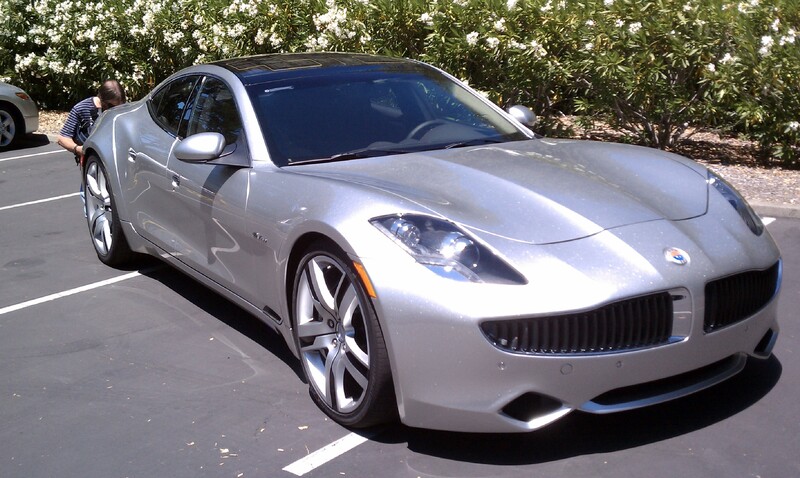 Remember, Fisker just started delivering its plug-in hybrid sports car, the Karma, to its first customers in recent weeks. The car’s launch was delayed by almost two years, and Fisker had previously claimed that it would become profitable by 2011, which is not likely to happen now considering the delays. But Fisker also has been rumored to be planning to go public, and if the company files an S-1, we’ll see its financials soon enough. If Fisker has a successful IPO and keeps its stock price up high enough for long enough (beyond the 180-day usual lock-up period), it could deliver its investors’ returns. 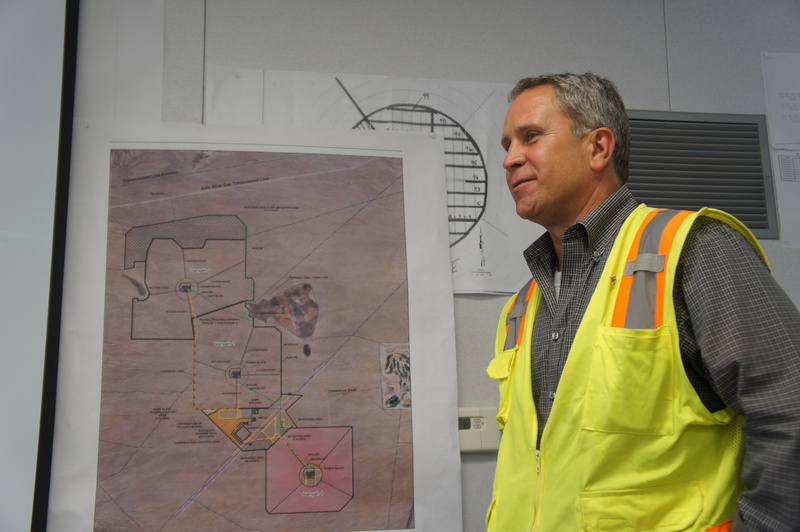 Solar project developer BrightSource Energy, which plans to go public and filed its S-1 in April, has raised $2.2 billion in financing to build Ivanpah, its first and flagship solar thermal power project (I visited the beginnings of Ivanpah last month). Ivanpah has equity commitments of $598 million, including $300 million from NRG Solar (s NRG), $168 million from Google (s GOOG) and $130 million from BrightSource. But Ivanpah will mostly be built using a $1.6 billion loan, guaranteed by the DOE and funded by the Federal Financing Bank. That’s the same program and federal bank from which Solyndra took a $527 million loan. BrightSource has customers for Ivanpah, however, in the form of California utilities PG&E and SCE, which will buy the solar power from the project in order to meet California’s state mandate that says utilities need to have 33 percent of their electricity come from clean power by 2020. Ivanpah, it should also be noted, is fully financed and under construction, so these major hurdles have been abated. Yet, there’s still a few things about Ivanpah that make it a little risky. First off, the technology is not the traditional standard trough kind that’s been used before, and it’s using BrightSource’s own brand of power tower technology, which uses a field of mirrors that concentrates the sun’s rays onto central receivers that stand 400-feet tall. That’s what makes Ivanpah so exciting and unusual, but there’s always a bit of risk associated with moving cutting-edge technologies into commercial scale. Ivanpah has also run up against environmental groups and more-than-expected tortoises on its site, and that has delayed the project a bit. The company says it is on track now, but there could be other delays for environmental reasons. Delays mean cost overruns, which mean more money needed for the project. Then there’s the changing economics of solar thermal in comparison to solar photovoltaic panels. A few solar project developers have switched to using PV panels instead of solar thermal technology for utility-scale solar projects, because the price of solar PV has dropped so low this year. While these economics probably won’t effect Ivanpah, as it is financed and under contract, it could effect BrightSource’s future solar thermal utility deals. BrightSource itself is funded by venture capitalist and private investors including Draper Fisher Jurvetson, Morgan Stanley, VantagePoint Venture Partners and Alstom (a provider of equipment and services for power generation). According to research from MoneyTree, BrightSource has raised $572.44 million from venture capitalists. If BrightSource goes through with its IPO and keeps its stock high enough for long enough, its investors could get a decent return. BrightSource and Fisker are probably not the next Solyndras, but they do need to have a certain level of success if they are going to make the DOE loan and loan guarantee programs look like they work. The DOE surely can’t afford any more high-profile losses, and these two companies, because of their backers and their projects, are among the most high-profile of the companies that have received DOE support. Fisker in particular is facing a risky market, and it has Kleiner Perkins in its corner, a venture firm that includes John Doerr, who previously sat on Obama’s Economic Recovery Advisory Board. Kleiner, remember, also counts Democratic politician Al Gore among its partners. With the reelection coming up, Obama can’t afford to be linked with another failed greentech firm. I think it is fair to say that the risks associated with the loan to BrightSource are an order of magnitude lower than with Solyndra. The BrightSource loan is secured against the Ivanpah project which is fully contracted to sell all of its power to a credible utility counter-party. Solyndra on the other hand had a huge job to continue to grow sales in an increasingly competitive market and bring its costs way down just to survive. While the BrightSource overall approach is ‘new’ much of it is just integration of proven steam turbine technology. Finally, the downside risk is probably that re-payment has to be marginally restructured if upfront costs or O&M are higher than expected, short of the entire project exploding, there is almost no risk of losing all or most of the principle amount, as with Solyndra. Good article but different between project loan and corporate loan is huge. Since commercial scale tower design solar thermal of the size of Ivanpah havent yet been built in the U.S. If you’re going to attempt to write, learn the difference between affect and effect and when to use each. BIG DEAL. GET A LIFE, or would that Affect you too much? when did Tower design solar thermal became unusual and cutting edge?